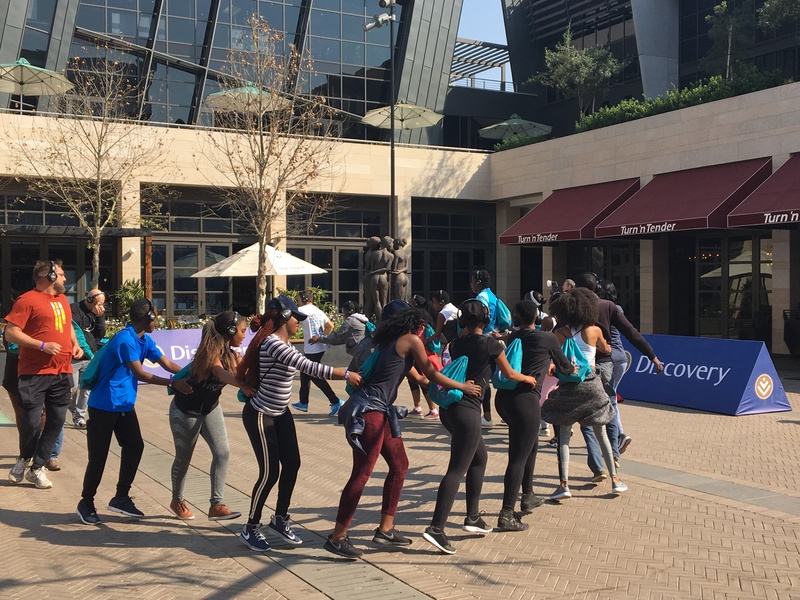 Tuesday last week, we found ourselves setting up at Menlyn Maine, for the launch of Discovery’s first retail store in Pretoria. 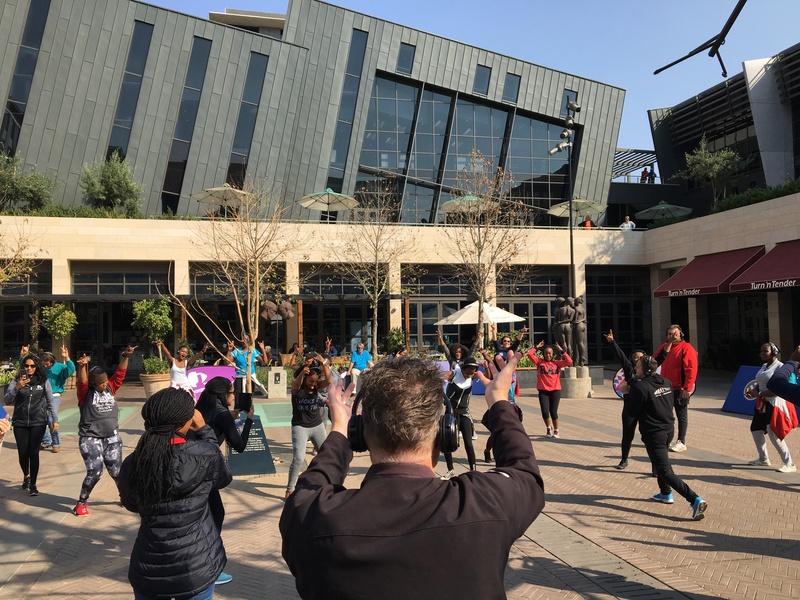 Our goal was to get the winners (who won the Discovery Jacaranda FM Spring Walk competition) to get moving to our amazing choreographer, Duane from Big Bounce Studios. 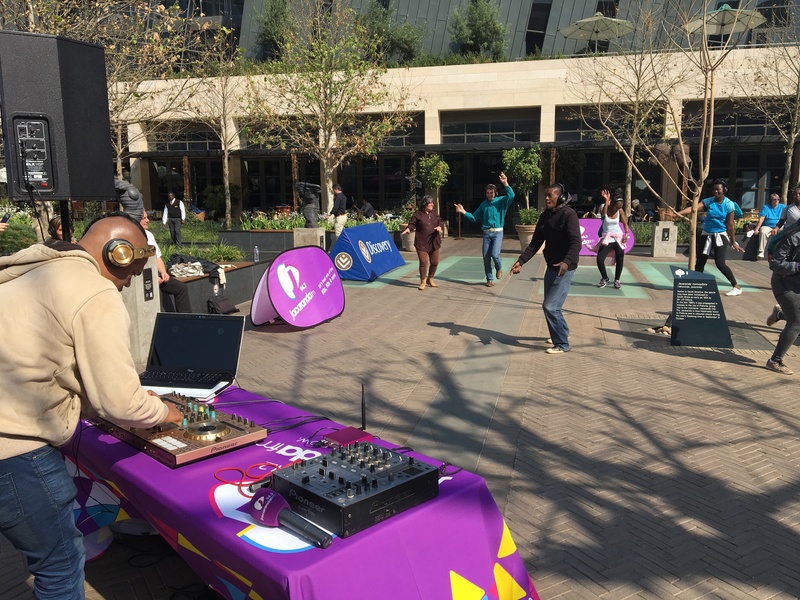 He was backed up by some heavy weight Jacaranda FM DJ’s. 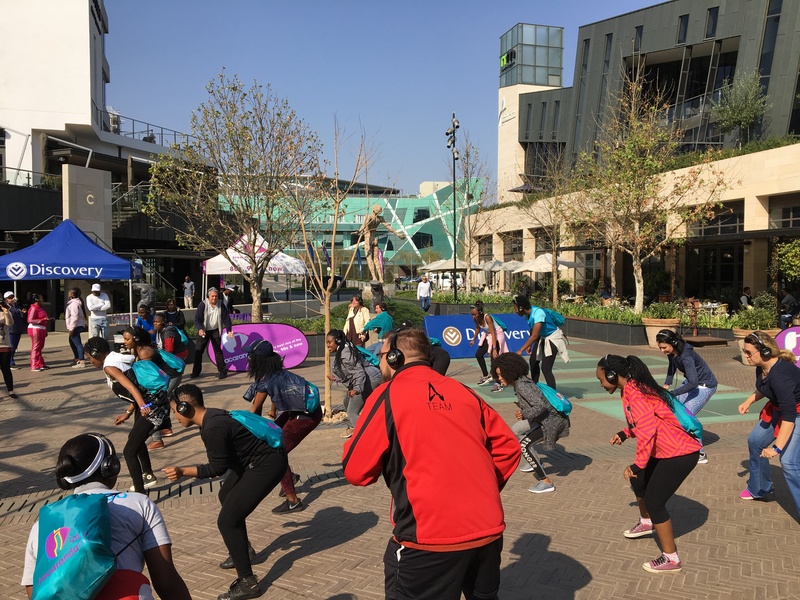 This fitness activation was a bit different as we had two DJ’s playing music at the same time! 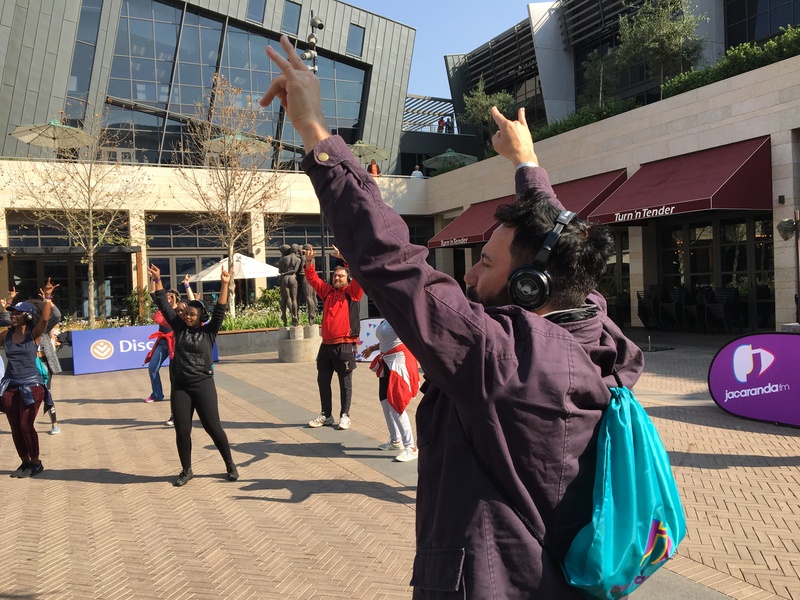 That allowed the Spring Walkers to pick and choose who to listen to – another unique application of our immersive headphone experience. 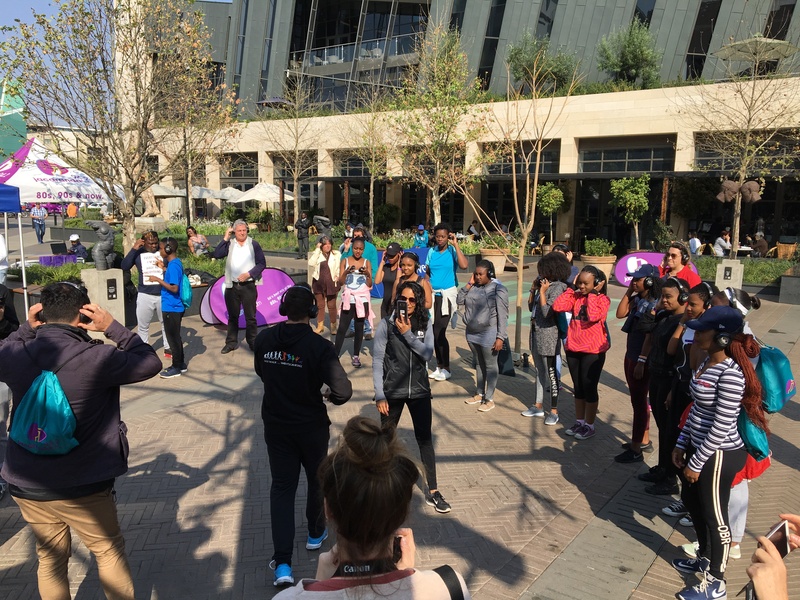 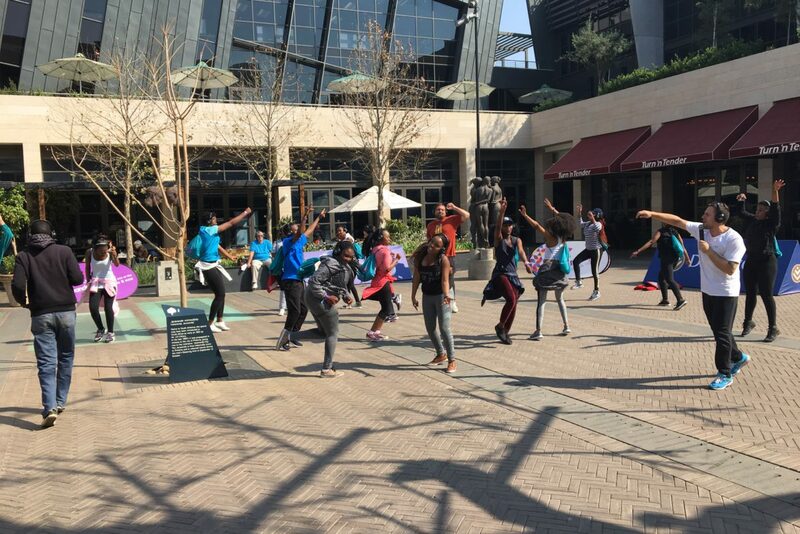 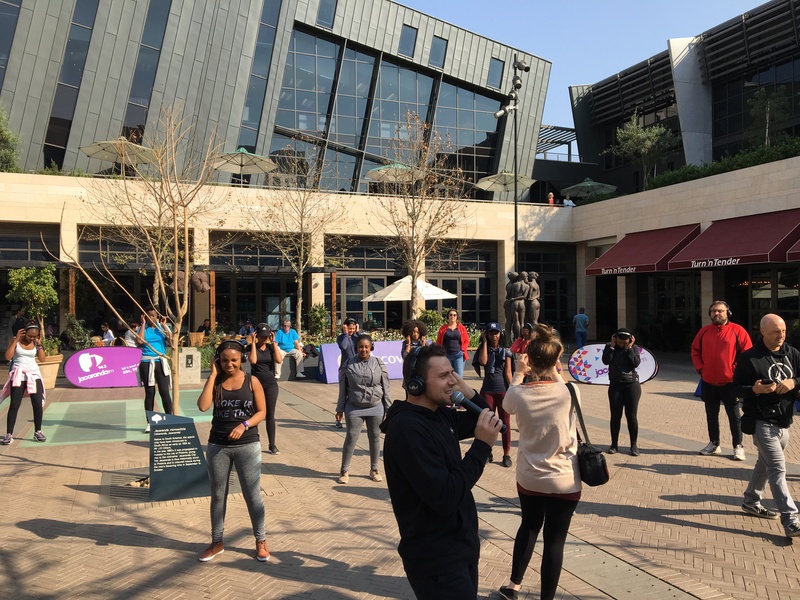 After an hour straight, having hosted the Jacaranda Breakfast Shows, Tumi & Martin created a flash mob like experience that stopped crowds of people in their tracks while seeking out their morning Starbucks. 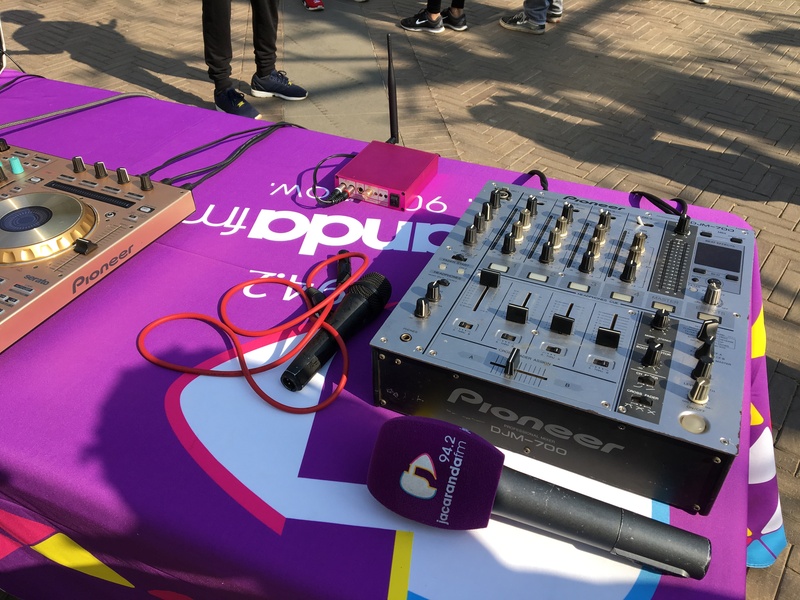 Thanks for having us Discovery & Jacaranda FM.